Set at a Catskills resort in 1960, this musical comedy tells the story of two friends from Brooklyn in search of good times and romance over one significant Labor Day weekend. 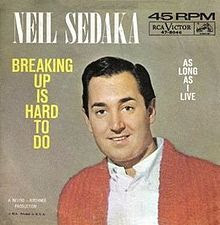 The score showcases 18 Neil Sedaka classics. Marge and her stagestruck best friend Lois arrive at Esther's Paradise Resort in the Catskills on Labor Day Weekend in 1960, on a vacation that was intended to be Marge's honeymoon — until the groom left her at the altar! Meet the self-absorbed singer, the Borscht-belt comedian, the owner of the resort and the hapless Gabe who REALLY brings the house down! Tickets are $20 for adults and $15 for Seniors and Students and Members of the Lakeshore Arts Alliance. Make reservations by calling (269) 857-5300 or by emailing lakeshorearts@comcast.net. Tickets may also be purchased at The Red Barn, 3657 63rd St. at Blue Star Highway, a quarter-mile east of Exit 41 off US I-196.